There is a global movement to engage women in the field of computer science. Major tech companies such as Google are recognizing the need for more female computer programmers, engineers and tech leaders and have launched their own major initiative called ‘Made with Code’ aimed at the younger generation. Organizations such as Girls Who Code and Black Girls Code were created to break down stereotypes that tech is a male-dominated industry, and engage girls in an industry that needs a stronger female presence all round. A report released earlier this year showed over the past decade, women undertaking STEM bachelor degrees (science, tech, engineering and math) have declined in the US. That is NOT a good sign! In tech overall, women only make up 25% of the industry and that number is even less when it comes to specific engineering or leadership positions. So how do we change this gender ratio? 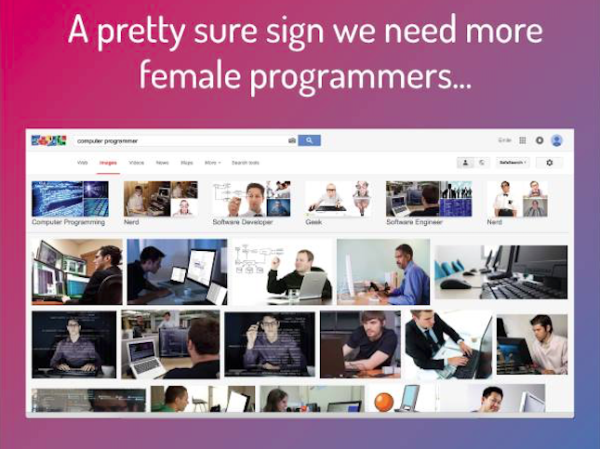 This meme below showing the male-dominated results that come up when searching for “computer programmers” on Google shows it is an uphill battle, but there are many initiatives being launched around the world which are having a huge impact on women in the industry. This image was shared by an organization out of Australia called ‘Code Like A Girl’ which was started by Melbourne-based coder Ally Watson who wanted to create a community of like-minded women who are either involved in the tech industry or enjoy coding. Ally says on the website that although there are many organizations dedicated to fostering support elsewhere, Melbourne didn’t have what she was looking for, so she made it! 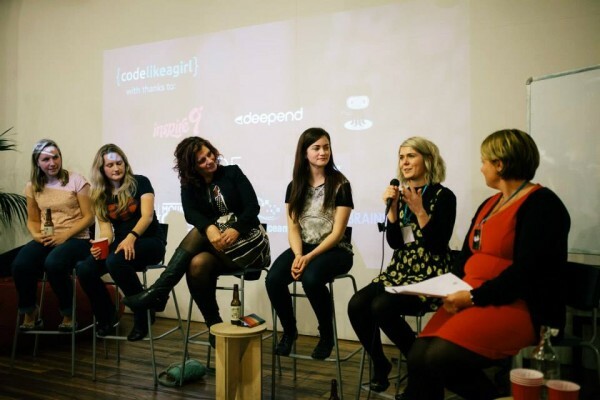 “Code Like A Girl intends to…bring girl coders together to celebrate and discuss our passions and expertise. I want to bring girls together so that we…help each other grow and support one another in what can sometimes be a daunting industry to work in,” she said. In a sense, initiatives like this go way beyond just creating a community of support. They also give permission to many other girls to know that this industry is not gender specific and they should absolutely not be deterred by the statistics. “The code women minority need that extra support, with being a minority comes a lot of things, like less confidence and imposter syndrome. Because they are a minority they feel that maybe they don’t belong there, that it’s a man’s world. Initiatives like Code Like a Girl is just trying to encourage and support these girls,” Ally told ABC news Australia. CLG is currently based out of Melbourne, but Ally has plans to expand nationally. 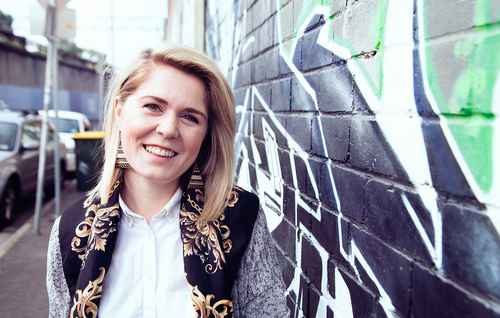 She is passionate about seeing this influence girls across Australia and engage more current female tech leaders in order to create more visibility to the girls who perhaps don’t have the female role models they need. It has to start at a young age if the ratio is ever going to be equal. “There’s an unconscious bias that people tend to buy their little girls barbies and baby dolls, and whereas boys will usually get electronic games and things that will get their minds ticking, take them apart, put them together. So naturally they sort of fall in to this type of career. Where girls turn away from that,” said Ally. 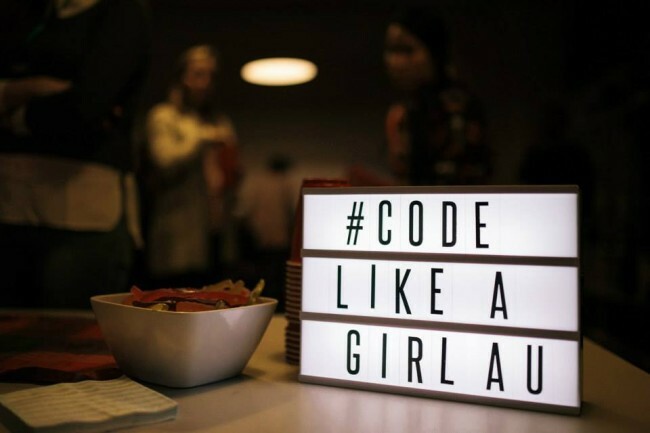 Code Like A Girl recently held their first meet-up in Melbourne where 100 women came to hear a panel of female tech experts share their experiences, answer questions and be encouraged by other women who feel the same as them. “Just for them to be able to sort of meet and mingle and realize that they can have support, they can support each other, can make a big difference to that kind of thing as well, and realize … you’re not the odd one out,” said Ally. Present on the panel were Shevaun Coker, Senior Developer at Envato, Johana Foster, Vice President for the RMIT University Society for Women in Information TeCHnology, Jo Cranford, Development Lead at Culture Amp, Kath Blackham, Managing Director of Deepend, a Melbourne-based digital communications agency, and Giselle Rosman, game developer and coordinator of the Melbourne chapter of the International Game Developers Association. “It comes down to the numbers and the fact that we are so underrepresented in games as women, and in making games, which are a cultural heritage in a sense these days. And I want to be hearing stories from everyone. At the moment in Australia we’re probably at about 10 per cent women in the games industry,” said Giselle Rosman in the same ABC news report. For us to deal with the numbers discretion and to address that we need to be looking at it from even almost a primary school view, where women are, and girls, are encouraged to get involved with tech and games and feel comfortable with that,” she added. 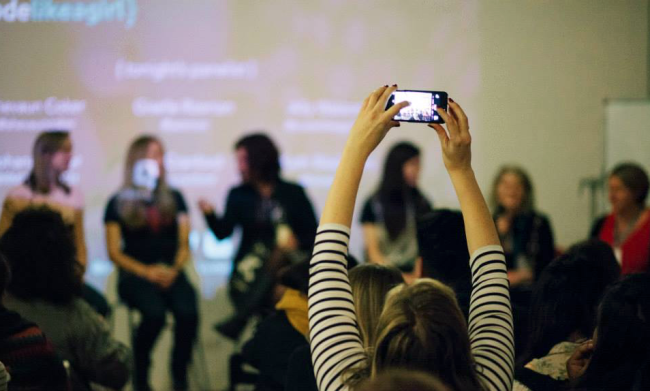 It seems the Code Like A Girl is tackling the two biggest areas that will allow women in tech to thrive: targeting the younger generation, and foster a community of support amongst women who are already in the industry. A lot of the time it comes down to representation, and women being armed with the knowledge that is it possible. A saying that we are so fond of here, “You can’t be what you can’t see” isn’t just one of those cheesy feel-good phrases, it is a vital ingredient to raising up a generation of girls who don’t see their gender as a barrier to ambition. 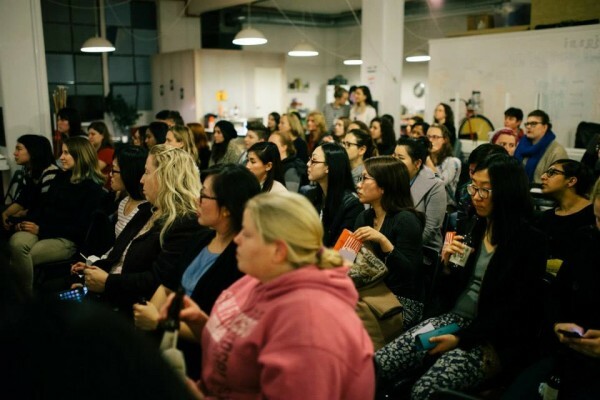 We can’t wait to see how Code Like A Girl grows and influences Australian women in tech!